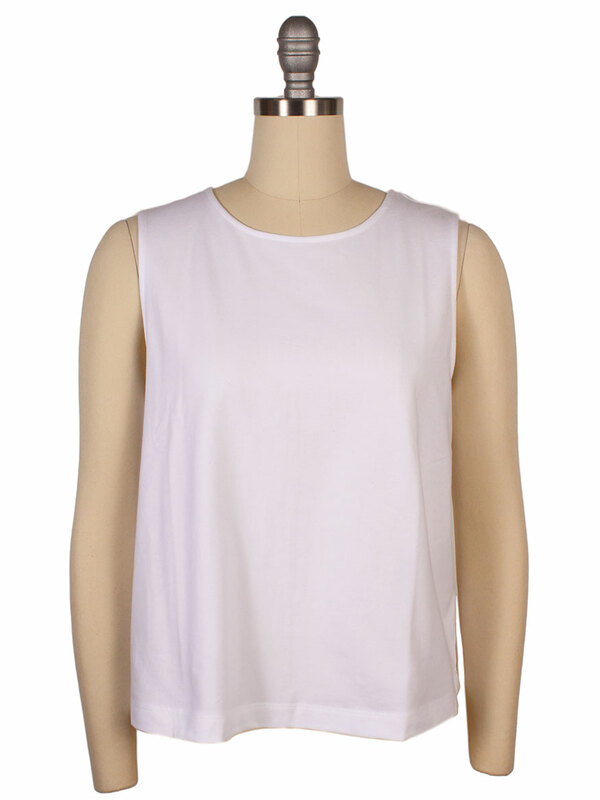 Our iconic shell in our luxuriously smooth cotton, grown in New Mexico without pesticides. The shorter, boxy shape balances the volume of easy skirts and pants. Designed with an easy, straight fit. 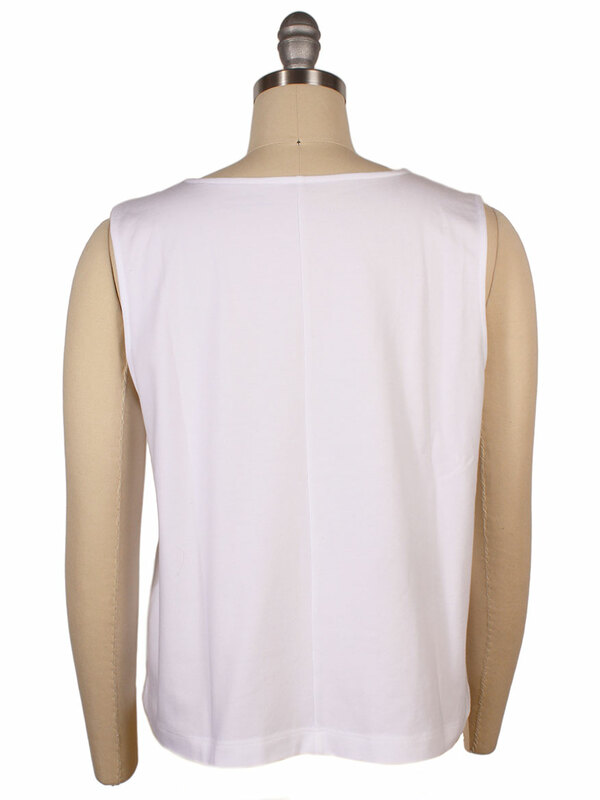 Round neck, sleeveless, 3/4-inch side slits. Finely finished with banding at the neck and sleeves. Made in USA. Center back length on a Medium is 20".